Thematic Ideas Expressed Through Music and Visual Designs. Mr. Steve Vento has been an educator in the pageantry arts for over 25 years. He has composed 40 original compositions and arranged over 400 shows for marching band and drum corps. He has worked with groups of all sizes and ability levels from Broken Arrow High School to the Blue Devils of Concord California and everywhere in between. 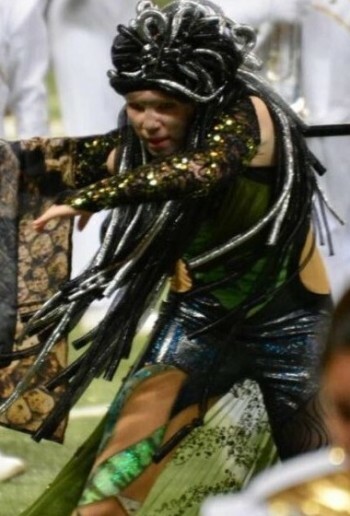 Lindsey Vento is an accomplished Marching Band, Color Guard, and Winter Guard Designer. She is a program designer who can design your marching program from beginning to end, including winds staging, musical pacing, the guard book and the winds visual book. She offers many services from full program design to as simple as weekly video study of your program, making notes and giving feedback on the overall package. Lindsey also can design costumes and silks for all of the pageantry arts. This site showcases both Steve’s music and Lindsey’s visual designs. This composition is a flamboyant orchestration of Old Hundreth, It Is Well With My Soul, Pachabel's Canon, and a whole lot more, INCLUDING original composition!! 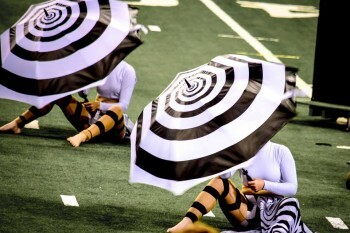 A crowd pleasing show that raised UIL standards!!! A UIL Class 4A finalist!! Percussion parts are already written and can be purchased for an additional $500. The popular hymn tune, Be Thou My Vision, is portrayed in many different genres including PanAsian, Spanish, French and Italian, along with original music. Percussion parts are already written and can be purchased for $500. Bizet's beautiful composition comes to life with this elaborate orchestration. Percussion parts are already written and can be purchased for an additional $500. 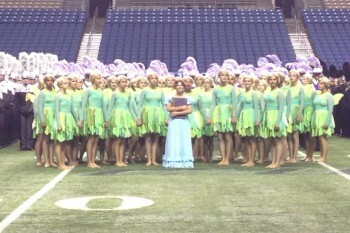 This show is a UIL Class 4A 2013 State Finalist Show!!! This Energetic opener begins with a brass fanfare and segues into a solo clarinet with a tuneful melody that is ornamented throughout the band as the piece continues. After a small feature for the percussion section the piece goes into a final build making the ending a triumphant reprise. The key center is in Bb and F and is great opener for any concert or festival.